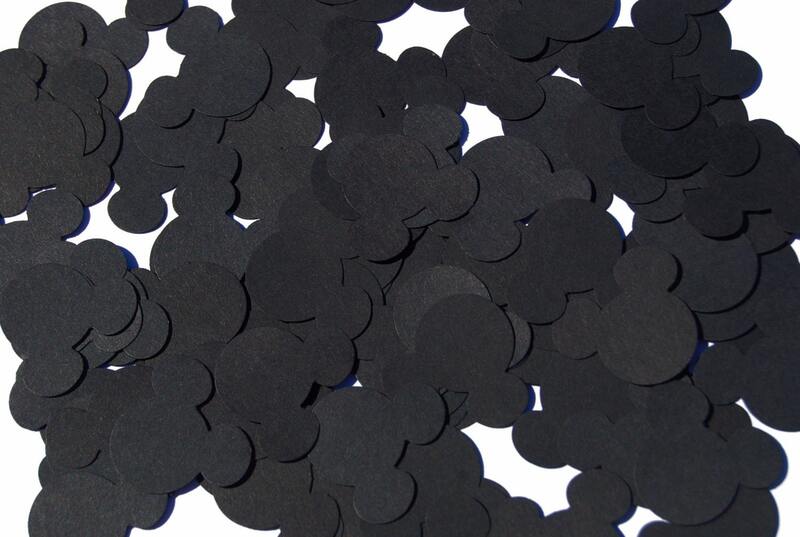 You will receive Total 100 mickey mouse die cuts in Black. Hand punched from Cardstock. These die cuts are great as table confetti for a child's birthday party, baby shower, or any party decor. They also make great embellishments for scrapbooking, card making, cupcake toppers, and much more! I love it and I'm sure my grandbabies will love them to at their 1st and 2nd Minnie Mouse party! Very nice! Unfortunately they did not arrive in time for event.